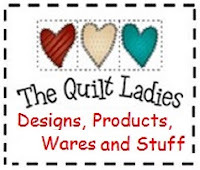 The Quilt Ladies Book Collection: Gut Check-Can I make My Dream Happen? 1. Is this a business, product/service or event something that you can make happen? 2. Is it something that you still want to happen? In doing the research you spent ZERO of your savings to find out you don’t like your idea or that your idea is PERFECT ! I want to OWN a Shop, NOT run a shop. This is very important in retail. You have to do some soul searching, what is it you want? And this can take some time. Take the time now, and not after you’ve jumping into something with your time and money. For me, Working 10a.m.to 7p.m. 7 days a week for me, even with a staff, I’d have to be there 6-7 hours a day. I’d like say, ”10-2” and go home to write, sew and cook dinner. So with my list, I started to really figure out myself and my needs. A time management problem, I was not willing to give up time, for the ownership of a stand-alone business, the internet was my golden ticket. You have to make the decision. I could not make a quilt shop work, so I kept writing my dream list, I wrote everything down and one day, it clicked.